We arrived in Auckland on Tuesday after two very long and tiring flights. We had a 12-hour layover in Bangkok which allowed us to search for the most comfortable chairs possible and sleep away our jet-lag… kinda.. I think we managed 6 hours of heavily interrupted sleep. 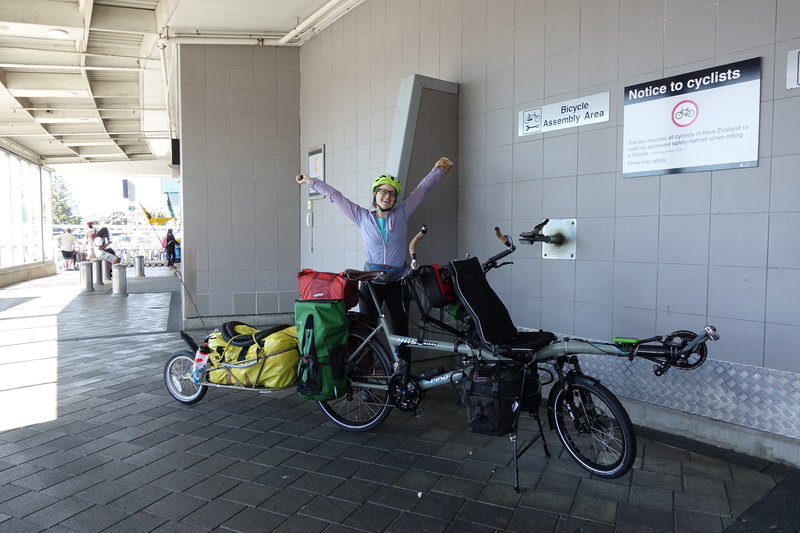 We slept a bit more on our flight to Auckland, knowing that once we left the plane, we had to collect our luggage and rebuild the tandem. 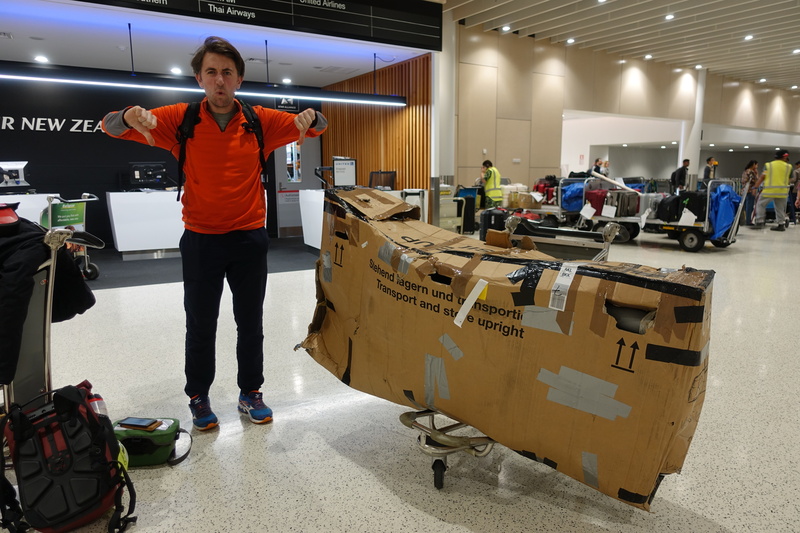 After landing, we arrived at baggage claim to see that two of our three pieces made it unscathed, while the box containing the tandem (the most important one) was completely damaged and full of holes. We think the combination of loading every single piece of luggage from the plane on top of the tandem (what the baggage handlers told us) and the sheer humidity of Thailand disintegrating cardboard gave the box this result. Seeing the box and expecting the worst, we went straight to the baggage services to make an insurance claim, but we were told that the bike was ‘not adequately packed’ (apparently we were supposed to have it boxed in steel), so our airline probably wouldn’t cover the damages. 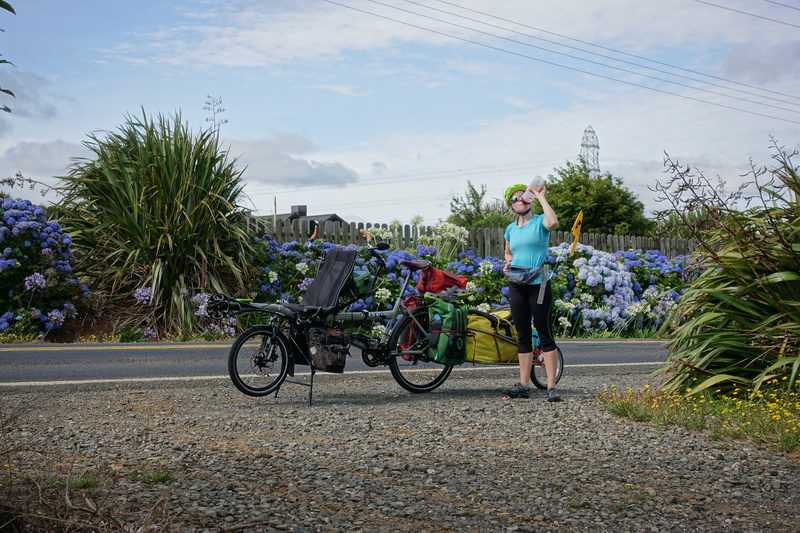 Luckily, after building the tandem (in about 3 hrs), it appears as though nothing was damaged and we were able to make our first few kilometers to our first destination, Papakura for the night. 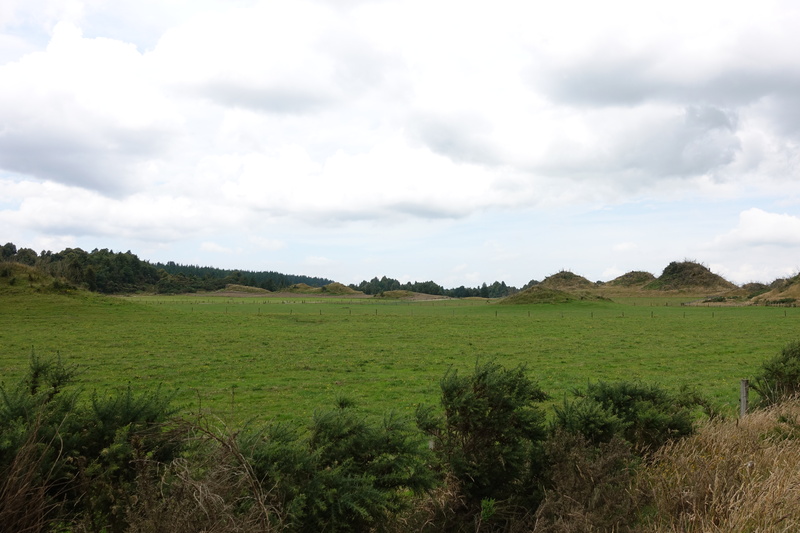 Our first real day on the road was Wednesday, and it became extremely apparent that we were no longer in Germany. After an hour of easy cycling, Cédric and I came upon our first real hill and had to get off and push it up. We did this a total of four times that day and wished that we didn’t drink so many Glühwein last month. Around 11am, we both noticed that the sun was indeed stronger closer to the equator and sunburns were starting to appear. Come noon, we were able to note which roads we preferred (the ones without trucks, although that’s hard to manage here) and understand that even when there’s a town name on a map, it doesn’t mean that there’s actually a town (I’m looking at you, Miranda). 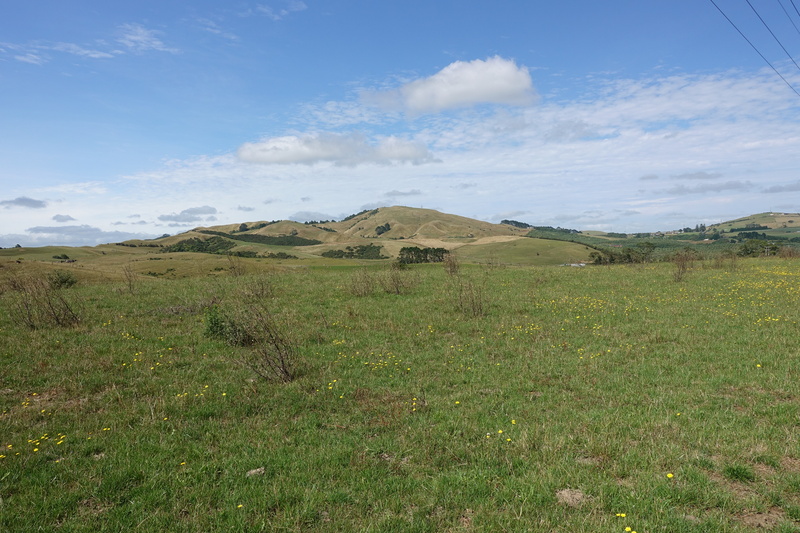 We stayed overnight at the first real town we came across that had a supermarket, Ngatea. 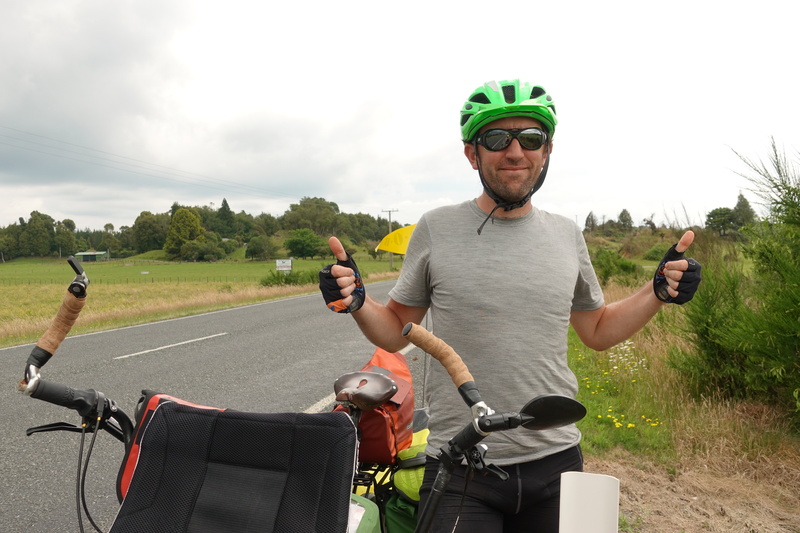 Yesterday, we battled the sun, trucks, and heat once again to reach a small campsite on the outskirts of Matamata. 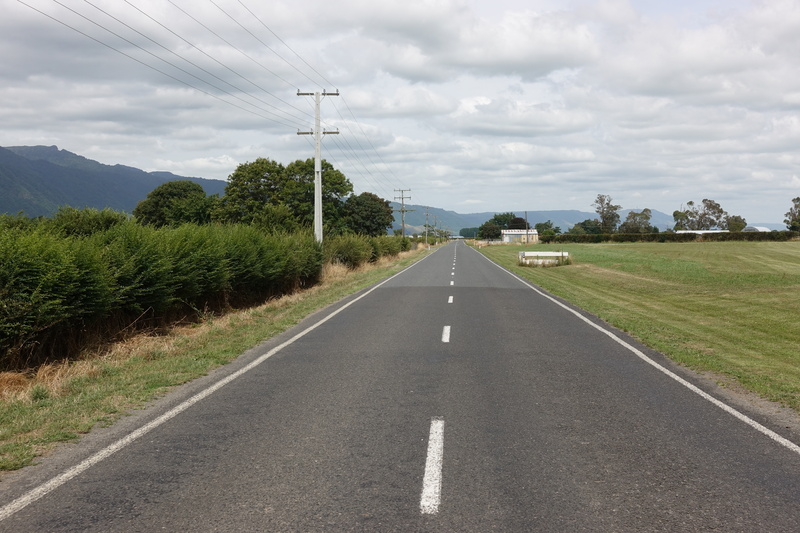 In New Zealand, a large portion of the economy is in the dairy and agriculture industry and we happen to be biking in the middle of a large agricultural area (cows probably outnumber humans 100:1)- which means semi-trucks carrying cattle, milk and feed are a common sight (one every three minutes on average) on the road. 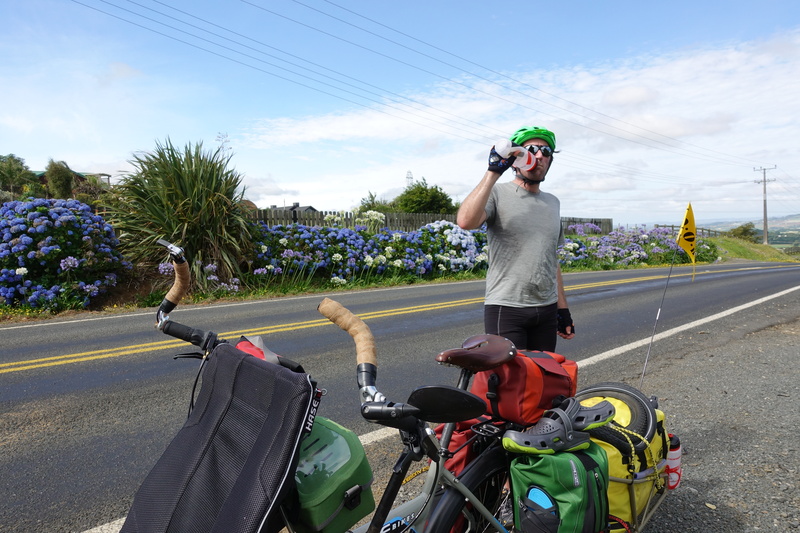 We couldn’t avoid the trucks even on the side roads, so we’re currently hoping that the South Island is a lot less trafficked. 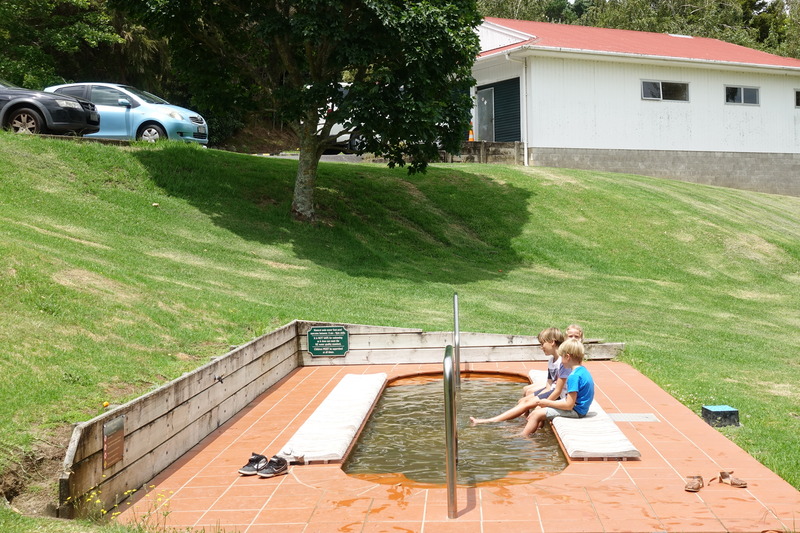 Our two-hour lunch stopover was in Te Aroha, where we were able to stick our feet in some natural hot springs, although that didn’t feel quite soothing on the sunburns. 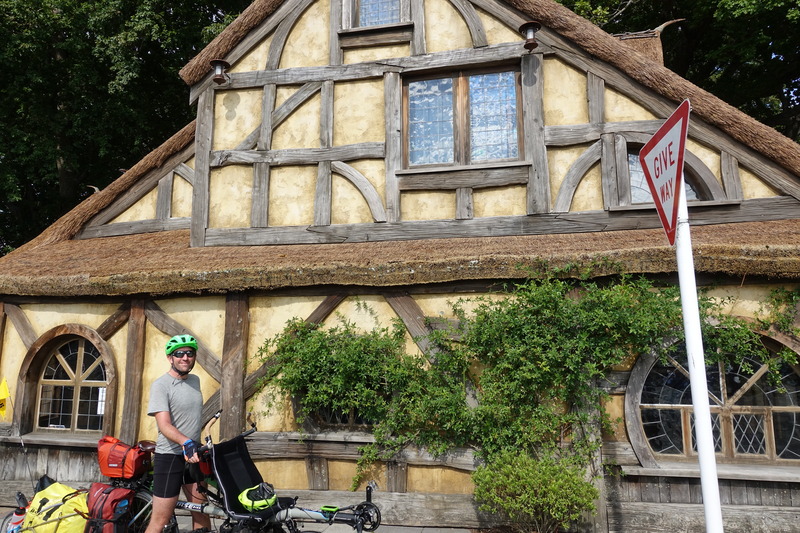 Today, we biked to the center of Matamata to get some food supplies and discovered that the Hobbiton movie set is located nearby. Unfortunately, our route was in the opposite direction so we only took a picture of the information center that looks like a hobbit house. 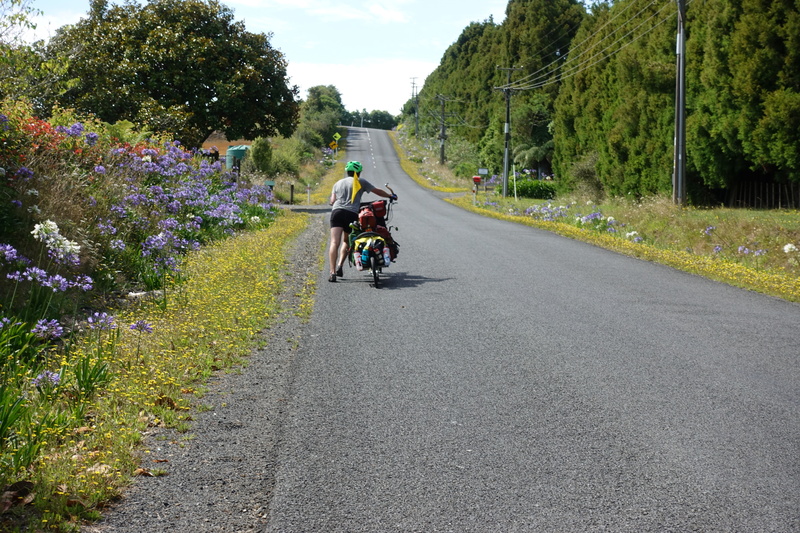 We left Matamata to bike up yet another small mountain range although these hills weren’t as steep, so pushing was thankfully not necessary. 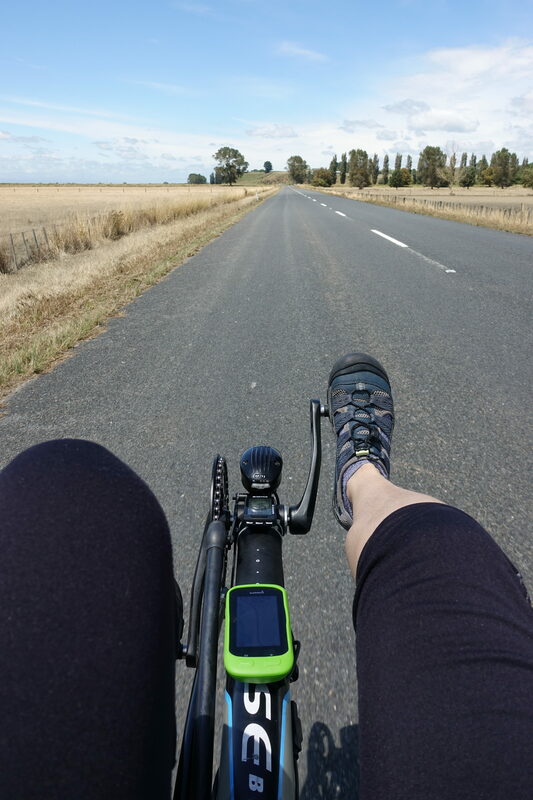 We had an unavoidable busy road to manage, but were fortunate enough to have paved shoulders that made the ride a bit more easy. 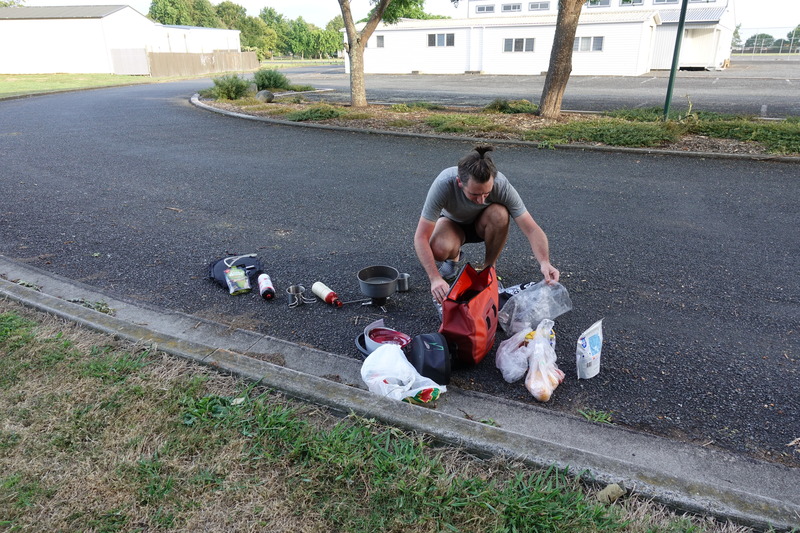 We made it to Ngongotaha just ahead a large thunderstorm and were able to take refuge in our campsite’s kitchen. Tomorrow, we’ll take it easy and visit some thermal pools and hot springs (this area is much like Yellowstone NP, geysers included). Happy to hear that your bike finally was OK. Moreover, we are glad to see you fit and healthy. Keep cool in the uphills and take care of trucks and sunburns. We look forward to seeing the geysers pictures. Winter is still here with alternate rainy and sunny days. Consequence, flu enjoys and a lot of snow in the Pyrenees. Continue to enjoy. Big Kisses from the whole family. Don’t forget to bring us back two cases of wine from Marlborough…. 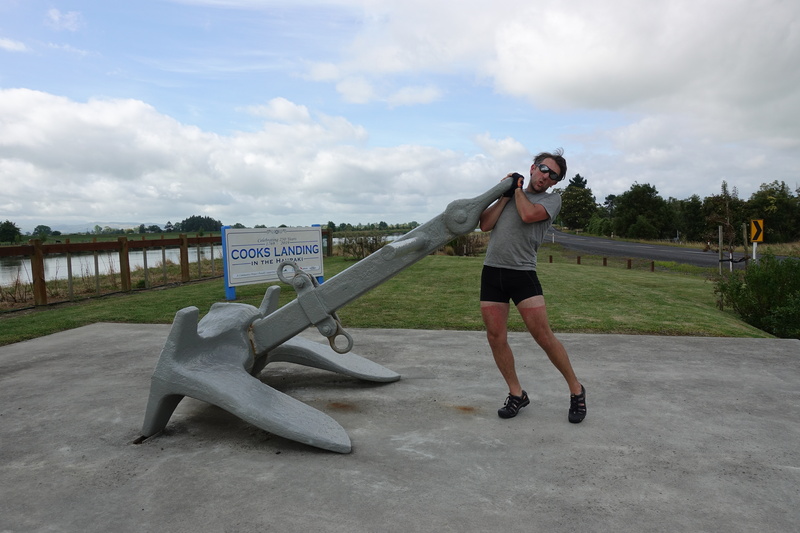 Je viens de decouvrir que Marlborough est un vin… On devrait y arriver dans 10 jours environ, faut qu’on traverse le detroit de Cook d’abord! Tu veux un containeur envoyé en avion vers Annecy?